Let’s face it, the closure of the Avios.com programme in July 2018 (to British Airways Executive Club members) has had limited impact on those who collect Avios points! However there is one function that I used to regularly recommend to readers – the BA Avios calculator map. Whilst the British Airways Avios flight calculator was a simple piece of technology it allowed you to input the maximum number of Avios points you had to spend and then showed all available redemption opportunities which met your Avios budget… With the recent data leak, British Airways have been reluctant to make significant changes to their website and as such we’re unlikely to see a similar tool being released by the BA team anytime soon. With no other such interactive tool available online, we thought it would be helpful to recreate the BA Avios points calculator for our loyal readers. As such we take pleasure in introducing the interactive Thrifty Points BA Avios Calculator set out below (scroll down). The British Airways Avios reward calculator is designed to be used on a desktop PC. You can still use it on a phone or tablet however you may want to turn your device on its side to view the full table. All redemptions assume London as an origin – we’ll be updating to include Manchester and Edinburgh shortly. Start off by selecting the maximum number of Avios points you’d like to spend. The table is set up as standard for return flights however can easily be changed to one-way. Select your preferred class of travel (you can select more than one option). If you’re considering booking an economy ticket you may want to read our recent article on maximising Avios points value – unfortunately economy doesn’t provide great value as we’ll see below. British Airways charge different redemption rates depending on whether you’re travelling during peak or off-peak times. You can find a full list of British Airways peak and off-peak dates here. To search how many Avios are required for flights between London and your chosen destination simply tick all the filter options on the Avios flight calculator and then use the search box to find your desired city. 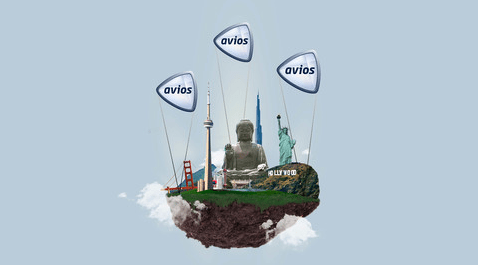 The Avios calculator is set up to list the redemption opportunities based on the required Avios (from highest to lowest). To sort by another category simply click on the heading. The Thrifty Points’ British Airways Avios reward calculator is the result of a lot of blood, sweat and tears and we’ve tried our hardest to ensure all data is accurate. If you notice any anomalies or think that any cities are missing please do reach out in the comments section below. The hard work for us doesn’t stop there. We will be introducing a connected BA Avios Calculator map shortly. This is currently in the testing phase so do keep an eye out for this in the not too distant future! There are unfortunately two reasons why the above doesn’t double as an Avios calculator for Iberia. The first is that at present all results assume an origin of London, from where Iberia only fly to Madrid. Secondly, Iberia have a slightly different Avios redemption chart for peak and off-peak dates. What sweet spots does the BA Avios flight calculator highlight? Whilst creating this BA Avios flight calculator, I’ve had to pull together a significant amount of data. An interesting ratio to analyse to see if there are any true sweet spots is the number of Avios points required for each mile flown. I’ve included a column in the above table (scroll right if you can’t see it) which can also be sorted in ascending and descending order. Some key takeaways to consider are set out in the table below. The BA Avios calculator throws out some interesting statistics. By flying from London to Cape Town in economy you’d be able to use the least amount of miles for the furthest distance travelled. At the other end of the spectrum would be Manchester in Club Europe (Business) which would set you back a staggering 59.8 Avios for every mile flown! Now this shouldn’t be confused with the value you’d be receiving for each of these points if you were going to redeem these flights. Below would be the Avios points value for each of the flights (based on flights in mid-June). As you can see and as we highlighted earlier on, using Avios points for long-haul economy provides terrible value at 0.5p for Cape Town. As Algiers is a Reward Saver Flight (inside 2,000 miles) the taxes are artificially low resulting in reasonable value at 1p. Gran Canaria, which required the least number of Avios per mile flown, also shows good Avios value at between 1.4p and 1.6p. We would ordinarily value Avios at 1p per point so if you were to redeem for Gran Canaria at 1.4p you’d be doing well! Has the British Airways reward flight calculator highlighted that you’re just a couple of Avios points short of that once in a lifetime trip? Fear not! Here at Thrifty Points we cover various ways to both earn and collect Avios points. Below are a couple of handy tips you may find useful. It’s a common myth that the easiest way to collect Avios points is by flying with British Airways. For an economy flight between London and Edinburgh you’d only earn between 125-625 Avios – this is a terrible earnings rate. That said, if you’ve taken flights in the last 6 months and have forgotten to allocate them to your British Airways Executive Club you’re clearly missing out on some of those hard-earned points. If you’ve only just signed up to the BA Executive Club you can retrospectively claim points for flights taken in the last 3 months. With strong competition between credit card companies, the benefits offered can be incredibly generous. 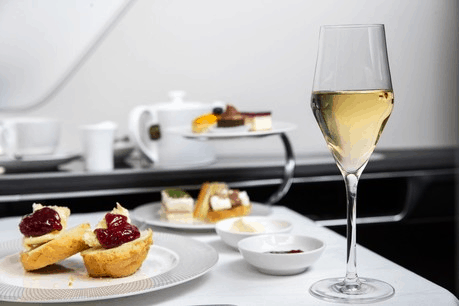 We’d recommend avoiding the British Airways Amex (reviewed here) which offers a sign-up bonus of 5,000 Avios points (6,000 Avios if you use this link) when you spend £1,000 in the first 3 months. Why?! The most generous free credit card on the market is currently the American Express Gold card which offers a whopping 20,000 membership reward points when you spend £2,000 in the first 3 months. This can be increased to 22,000 points using this link. American Express Membership Rewards points can be easily transferred to Avios at a rate of 1 to 1. You’ll also benefit from 2 free airport lounge passes. 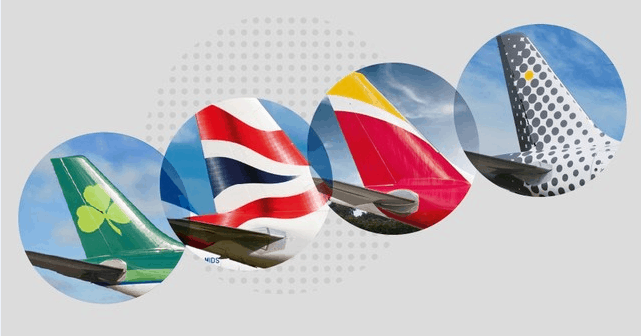 British Airways have a number of partners through which you can also earn Avios points. Converting the likes of Tesco Clubcard points at a rate of £2.50 worth of Clubcard vouchers to 600 Avios points is a good option if the Avios miles calculator is showing you’re only a couple of thousand Avios short. You can also collect Avios points on your online shopping using the eStore portal found here, where you can earn up to 30 Avios for every £1 you spend online. The above table can also be used as an Avios upgrade calculator. All you need to do is select both the class you’d like to upgrade from as well as the class you’re upgrading to and find the Avios requirement for each class. To find your destination quickly, simply insert the name of the city in the search box. Then deduct the Avios points required for the lower class of flight against the upgraded seat and, hey presto! Using the table to calculate Avios points for an upgrade is (hopefully!) as simply as that. Until last year it was relatively easy to search for Avios redemption opportunities using the BA Avios calculator on Avios.com. With British Airways Executive Club members no longer able to access this tool and limited functionality on the BA website to search by number of Avios points, we’ve pulled together the above British Airways Avios flight calculator. We hope this will give inspiration to those looking to use their hard-earned Avios points. 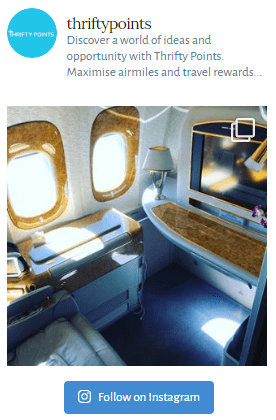 If you’d like further ideas on how to earn and book an Avios redemption, why not take a look at my recent BA First Class review. Using two UK credit cards, I was able to earn enough Avios points to redeem First Class flights to Sao Paulo for less than the price of an economy ticket. Also included is a step-by-step guide as to how you can also achieve this.